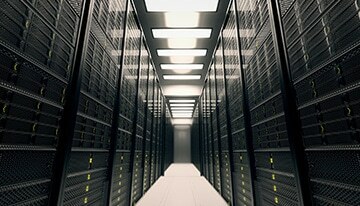 Here at Missing Link, we own, house and manage our own dedicated Private Data Centre. A heavy invested we felt well worth the benefits we could then pass on to our clients. Many of the Missing Link clients use our Datacentre to house their IT, allowing us to manage it professionally 24 x 7 x 365 and take that pain away from them; all done under a fixed monthly fee. Other Missing Link clients use our Datacentre to replicate their own data from their own site to our off-site location as part of their Disaster Recovery Plan, safe in the knowledge that should they need us to, Missing Link have the ability to spin up a virtual machine to be remotely utilised by our clients within minutes. Missing Link also offer an option to replicate data from our Datacentre to a second top tier Data Centre location elsewhere, as a secondary precautionary measure to sure up their Disaster Recover plan. Ask one of our informed Account Managers for further information. The Missing Link Datacentre is located on-site in Standish, near Wigan. Should you wish to know more about our Datacentre, and the services available please do feel free to contact one of our informed team here at Missing Link. Having our own Datacentre here at the Missing Link office means we are able to be very competitive when it comes to your cloud and hosting requirements. Call us today and ask for a consultation about our cloud backup and hosted Servers.